We are used to seeing him perform mind-blowing tricks on TV, but now Dynamo is trying to help Syrian child refugees. The magician has been to Lebanon as part of a campaign working to get every Syrian child an education. 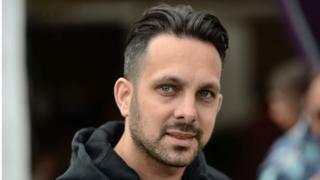 Dynamo, whose real name is Steven Frayne, recently spoke about having Crohn's disease, which put his magic on hold. He told Newsbeat being out of the spotlight has given him more time to work with refugees. "I started to work with a charity called Theirworld. They've got over 250,000 Syrian children in school in Lebanon with the double shift system. "In the daytime the local children in Lebanon go to school and when they finish, they open up the school for refugee children with teachers doing double shifts." Frayne will travel to Brussels in a few days to meet world leaders who are discussing help for Syrian refugees. He visited a refugee camp recently and made a short film called 72 Hours to highlight the importance of getting children into education. Frayne told Newsbeat many young people there told him they had nothing to look forward to. "I think me hanging out with them in the refugee camps was probably the most exciting thing that happened to them all week. Whilst he was there, he did some tricks for the children: "The reactions were crazy, they literally followed me around like the Pied Piper," he says. 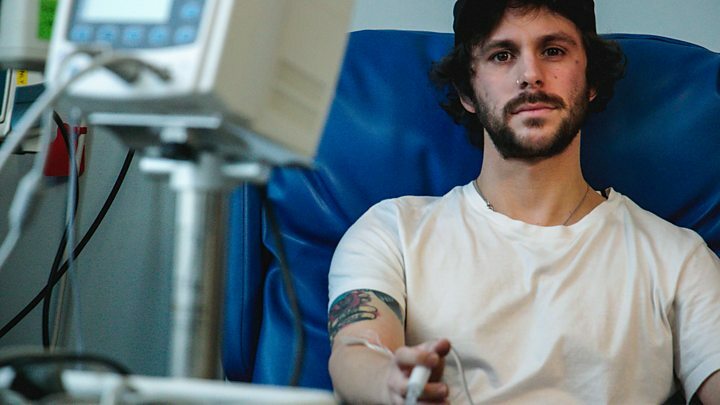 We haven't seen Frayne performing as Dynamo on TV or on stage recently because of health problems. Last month, he revealed he suffers from Crohn's disease, which affects the digestive system. He posted a video on social media and received hundreds of messages of support. "I was overwhelmed by the reaction and I think it's really great that other people with the condition are feeling confident now to share their stories." Media captionWhat's it like being in a rock band, and dealing with the symptoms of Crohn's Disease? Symptoms of Crohn's can include diarrhoea, abdominal pain and blood and mucus in your poo. Doctors don't know what causes it and there's currently no cure. There are treatments available, such as steroids, which can cause weight gain and water retention. "I'm working with doctors and physios trying to get myself back to full health. Hopefully at the end of the year I'll be back on my game." Another side effect of taking medication is arthritis, which has made it difficult for Frayne to perform certain tricks. It's made him think about different ways to do them. "If my health isn't 100%, I might have to try different things, that don't use as much dexterity or use my body as much. I've still got my mind, which is quite sharp I like to think. "I'm not a one-trick pony so I've got a few things up my sleeve and I'm working on those. I look forward to getting back on stage or on a TV screen near you soon."